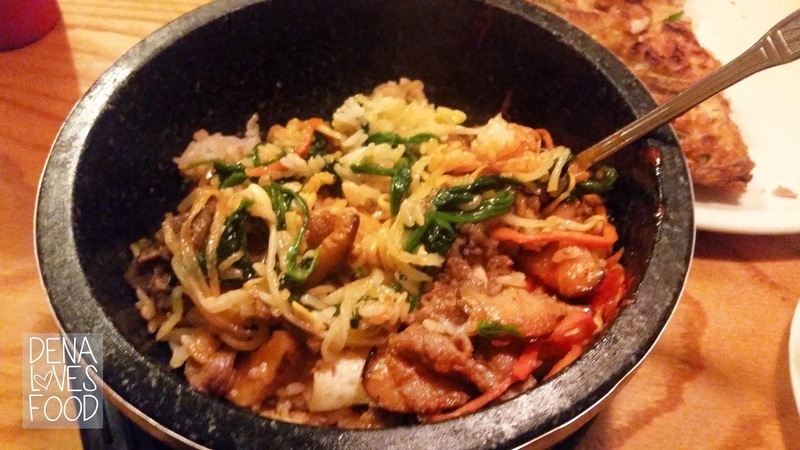 This is pretty much an updated post, but I'm not too sure if I've ever posted my first visit to this hidden Korean restaurant. It's a hidden gem all by itself, but is known for their authentic cuisine. My first visit to this place I seriously kept driving by it because it looks like a trailer. No joke, it's a small trailer and it's under a freeway. Sketch, right? Nooo! The food is spot on though. That was almost 6 or so years ago. They still sit on the same land and have added a few additional parking spaces and flashing signs, but their food has certainly not changed. It's so good and it warms the seoul (soul). Get it!? Lame joke, I know. The interior and exterior may be a little run down and tacky, but if you are brave.. stay for the adventure this restaurant will take you on. The food will seriously hug your stomach until you are about to burst. 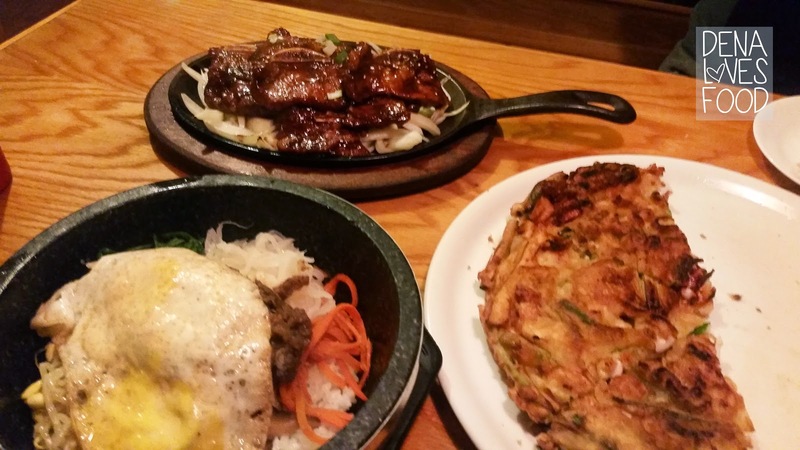 We decided to order the Seafood Pancake (Hae Mul Pajeon), Galbi (beef short ribs), and Dol Sot Bulgogi Bibimbap (Stone pot mixed rice). 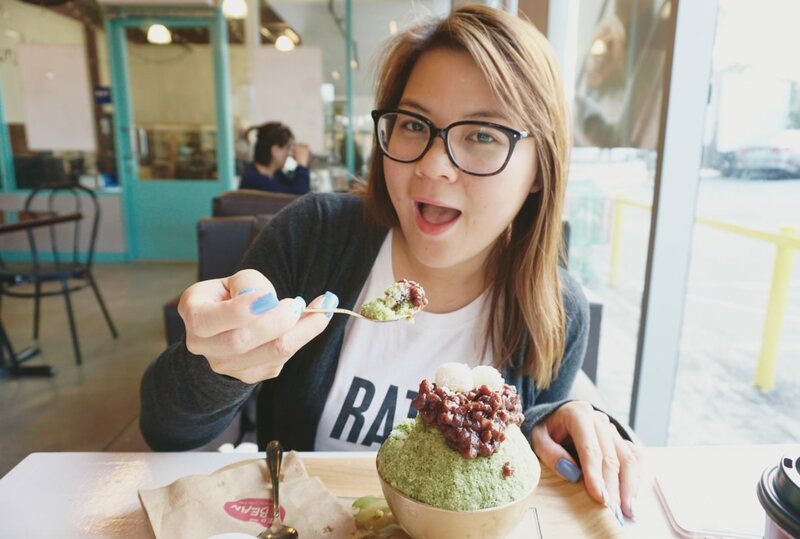 These dishes are the basic dishes you must try if you haven't had Korean food before. It's also my top favorites because of how warm and filling it is. The Seafood Pancake is bomb here. It's crispy all over and it's loaded with various seafood from octopus, squid, shrimp and so on. When you hear pancake you usually think of sweet, fluffy pillows but no no. 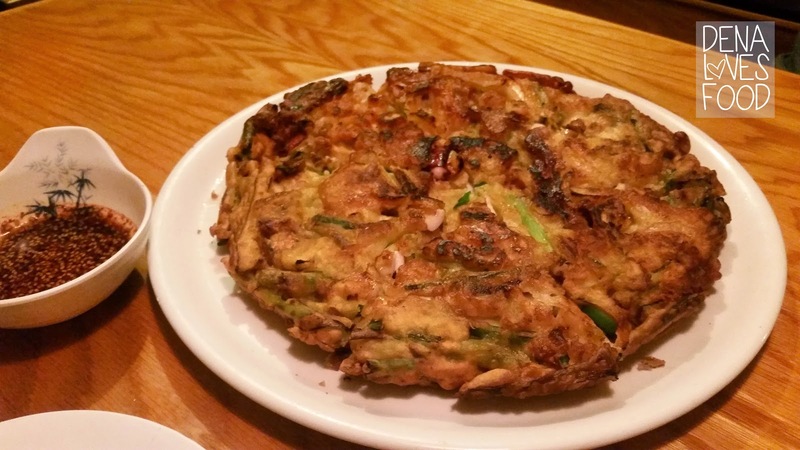 You must try a savory pancake because it changes your view on pancakes forever! Don't forget the dipping sauce! 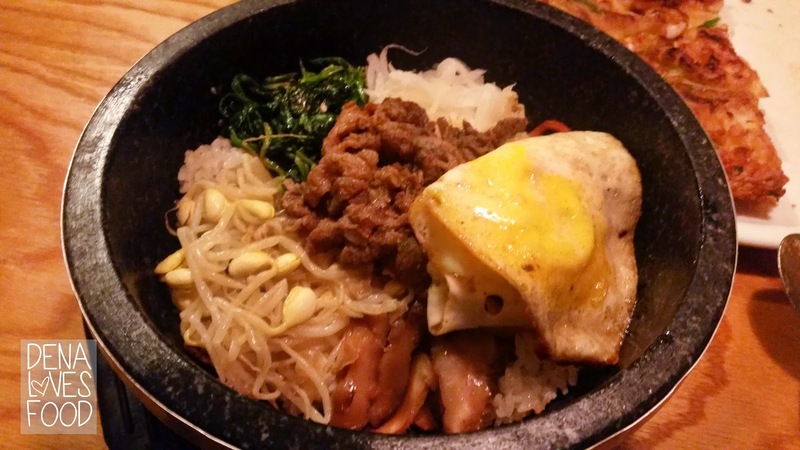 I love Dol Sot Bibimbap, which is pretty much a mixed rice bowl in a stone pot. It's served in a scorching hot stone pot which serves an amazing purpose. The stone pot crisp up the rice at the bottom and gives you an unique "crispy rice cracker". What I like to do is toss in a little bit of the pepper paste that's served with it and leave it there cooking. You'll know when it's done when all the sizzling sound goes away. One of my favorite meal! 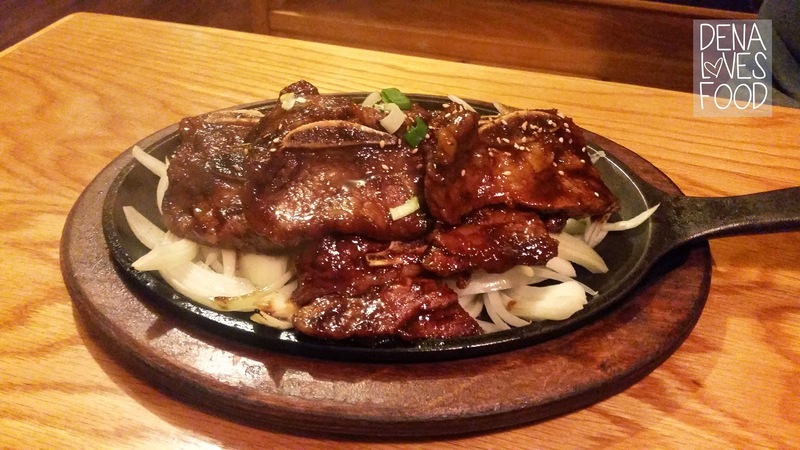 Lastly we got the Galbi which is a marinated beef short rib dish. I love galbi and since I'm a meat person I'm crazy for the texture. It's a little more tough than your normal meat so the fight is always fun while you eat with your fingers. These galbi from Sa Ri One wasn't my absolute favorite only because the sauce was super thick and sweet. I would of course order it again, but did notice the difference style from other restaurants. For me personally I will always order galbi over bulgogi, or pork. I just love my meat. My only few buggers is that they do not serve as many side dishes (banchans) compared to other restaurants. We got about 6 small dishes compared to 15, on the side note all the side dishes were delicious and fresh. Service is another issue, but because they were so busy I'll let it slide! If you haven't noticed they also have little buzzers on the table for your access. Use them wisely. I really like Sa Ri One. 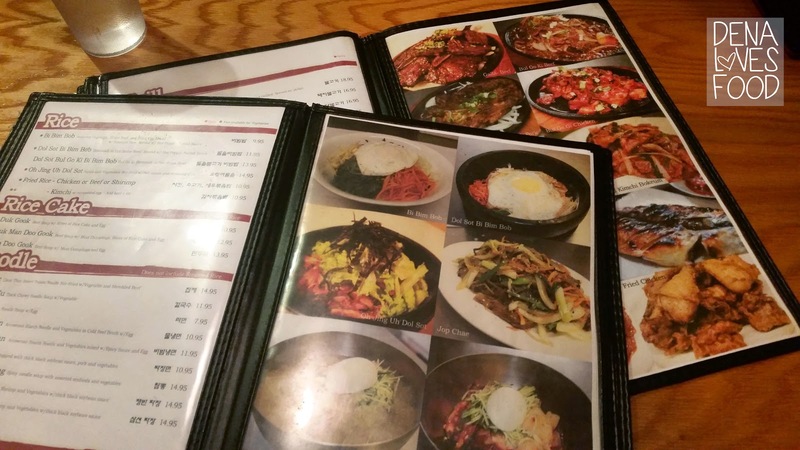 It's such a comforting restaurant when you want real authentic Korean food. The food is spot on and if you want to try something different they have it all. Be a little adventurous.